Sorry to all you expats who live abroad and want to play games in your native tongue. 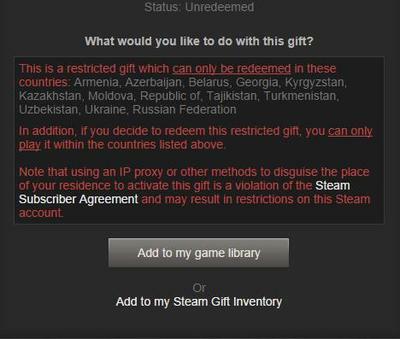 Steam is taking us back to the Stone Age by putting restrictions on gifting and redeeming games overseas. From today, you’ll only be able to redeem a gift code within the country it was gifted from. You jerks buying cheap games from Russia are screwing it up for everyone! Word got out when South American and Eastern European customers began reporting that they were unable to redeem their gift codes. Even if players are able to work around the gift redemption process thanks to a VPN, the game will only play within the allotted region as well. No traveling for you with your game collection, my friends. Unless you go offline. Reddit users from Singapore, Russia, Brazil, Mexico and other countries are all reporting similar issues. I have little reason to doubt that the annoyingly inclusive Japan will be among them. Thanks for all your help over the years, guys, but I need to find a new way to get my Japanese games. In fact, some reports are even claiming that this is being applied retroactively to previous gifts! 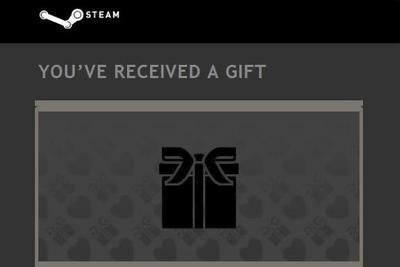 Valve updated its trading policies in December to prohibit sending gifts overseas to South America, Asia, and Eastern Europe, and players who have redeemed gift codes since then will no longer be able to access their games. Third-party game codes are also reportedly not working. Valve has yet to issue a statement on this because it’s Valve we are talking about here. Valve and the rest of you publishers out there, the world is getting smaller, not bigger. People are living abroad these days, traveling, seeing the world, and enjoying life not trapped within their home country’s restrictive borders. I can respect the need to preserve the sanctity of your region’s economy, but there certainly must be a better way than carpet-bombing everyone and catching honest paying customers as collateral. Myself as an example, I love Japanese video games, but I would prefer to play them in my home language. Unfortunately, purchasing these games digitally within the country in English is nearly impossible, and this decision cuts me off from ever buying Japanese games through Steam again. Square Enix, SEGA, and Capcom probably see the ex-pat crowd as too small of a statistic to pay it any mind though. Money is being lost thanks to fluctuating markets and an increasingly intelligent and connected audience, and that has to stop before all else. No customer satisfaction for you. Total region-locking of the future. I called this years ago, but it seems to be coming true now that we can’t say no to digital distribution anymore.